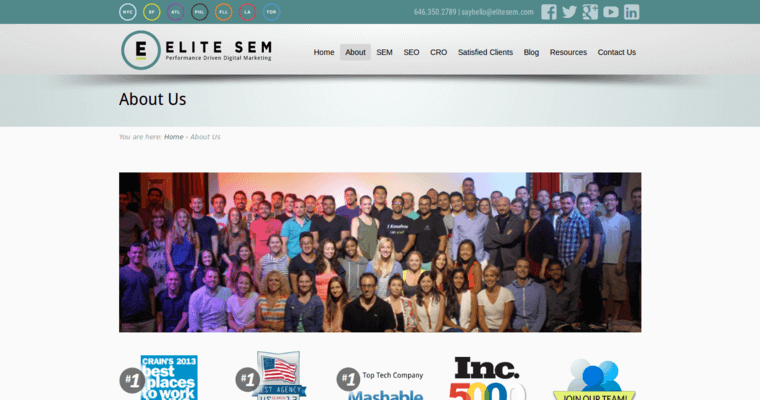 Elite SEM is a polished search engine optimization company that has received numerous awards for their hard work. They were recognized by Entrepreneur, Inc. Magazine, and many others. 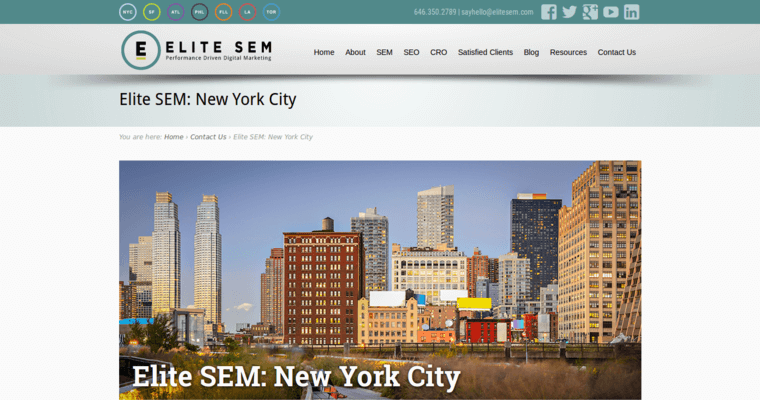 Elite SEM offers the following fine services: paid social, paid search, search engine optimization, analytics, and much more. 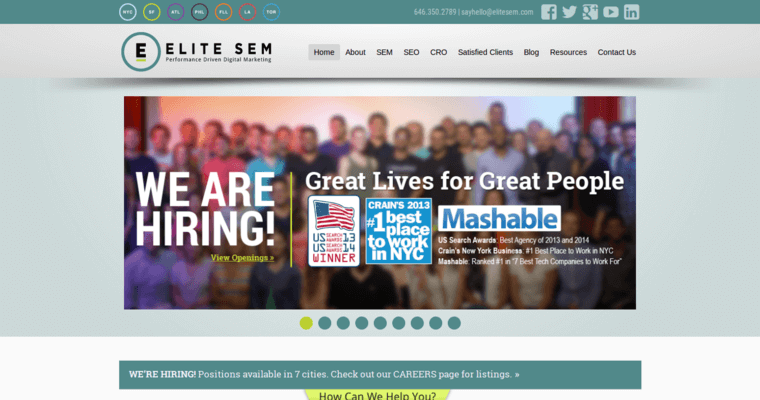 Elite SEM strongly believes in holistic search engine optimization. In their humble opinion, this approach offers better results for companies that want to hang in there for a long period of time. This is a better offer when you look at what you will get from other digital marketing companies. Elite SEM invites you to join their team. They are more than ready to help you win the search engine battle for your targeted keywords. Their warm invitation shows they are confident in their ability to help you company succeed online. It's vital for you to contact them today.